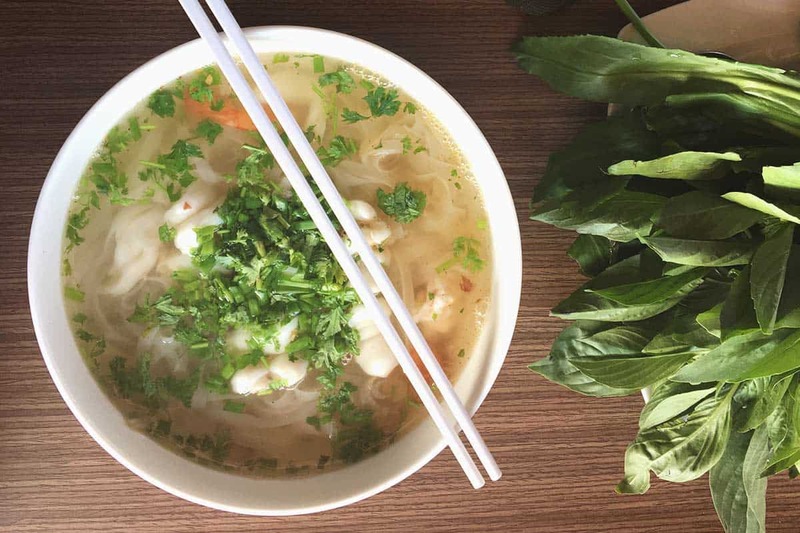 Hanoi is an absolute amazing place for foodies, adventures, cultural traveler, and even nightlifers. 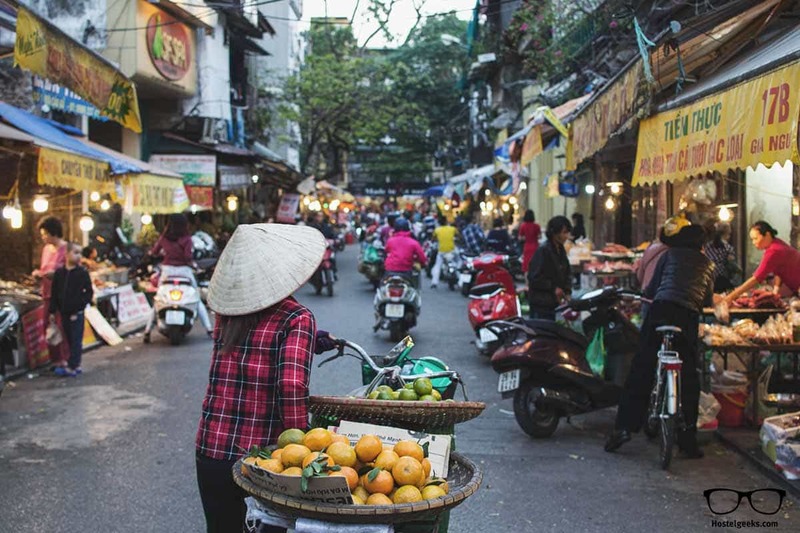 There are so many amazing things to do in Hanoi, we had to create a huge list for you. To make it easy, we put all these Hanoi activities on a map at the end of this article. So, I am assuming you are planning to go to Vietnam soon? Cool, cause we share with you right here our list of 41 things to do in Hanoi. Some of them you need to book in advance, others can be done spontaneously. 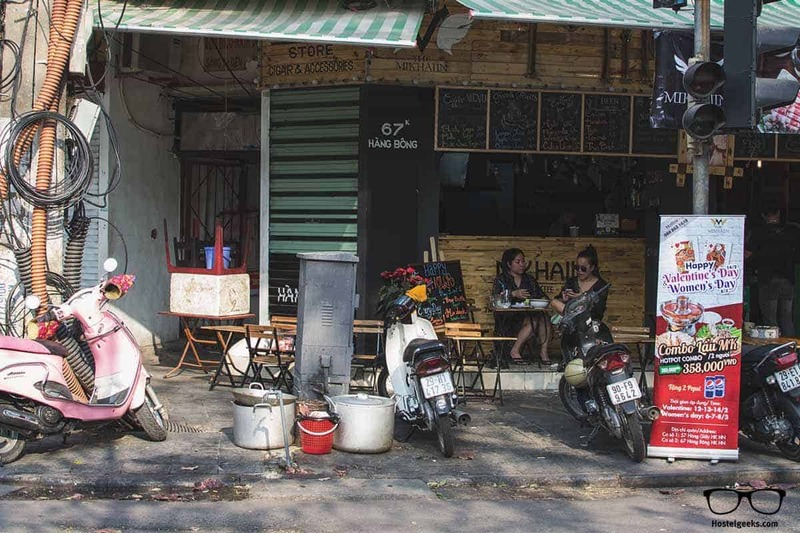 There is a bunch of fun things to do, entertainment at night, interesting slow downs, where to eat in Hanoi, local secrets, shopping, as well a huge share of history. Almost forgot to mention, there are also many photogenic corners in Hanoi. 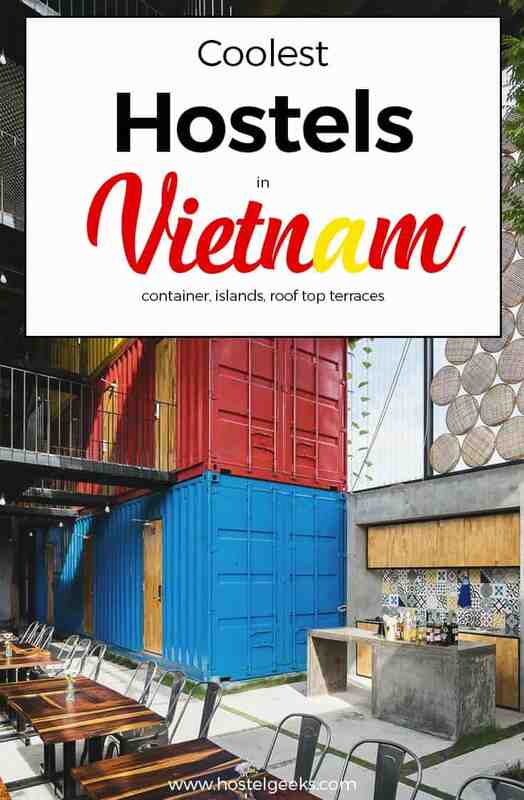 Check our our complete guide to best hostels in Hanoi. Oh dear, Hanoi, you got us! 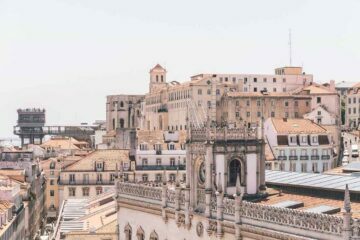 The moment we touched ground we fall in love with this chaotic, mysterious, cheerful city. Here in the North of Vietnam, our project of motorcycling from North to South Vietnam kicked off. 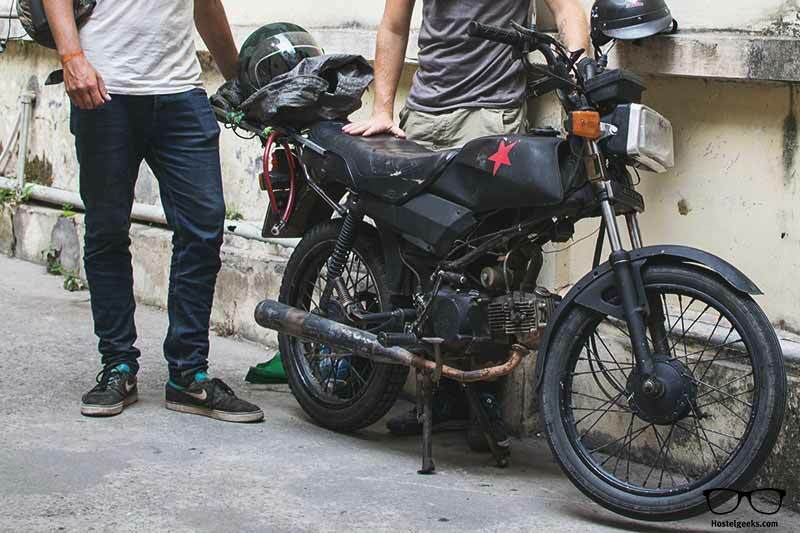 We spent 3 months in Vietnam, riding two old motorbikes from the top North to South bottom. On our journey we learned a lot. During our stay in Hanoi we checked out several accommodations, met up with different locals as well as backpackers, and spend an amazing week in the Vietnamese Capital. Okay okay, enough bla bla. You are here to get the best insider tips to explore Hanoi, I get it. Oh yes, you will have read this recommendation a thousand times already. But, it’s true, DO NOT MISS IT! 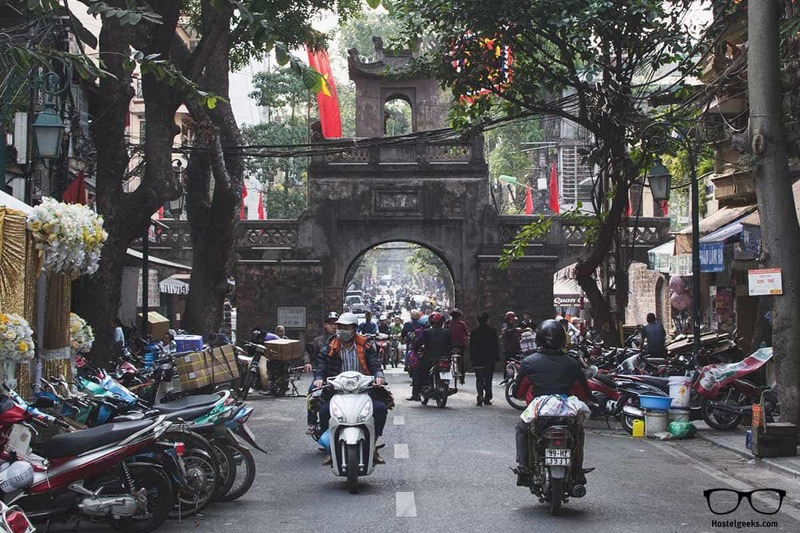 The Old Quarter in Hanoi is a mysterious labyrinth to experience almost everything. From bargaining pros, to traffic jams, cute dogs, playing kids on the street, life-threatening motorbike drivers, numerous backpackers, to an endless variety of shops. It is just a great experience. Don’t expect anything shiny, glossy, beautiful. Come with time, patience, some money, sense of humor, and a camera – and you are good to go! Also, if times allows, just sit down at one of the moving bars. There are street sellers selling beer for as cheap as 5000 DONG. This means: 20 cents! This cheap beer is called “Beer Hoi”. Well, it’s not the best beer in the world, but it is a perfect start and opportunity to learn the local lifestyle. This, my dear reader, is one of the things what Vietnamese people do for fun. Hoàn Kiém Lake is the lake in the historical center of Hanoi. The lake is one of the major scenic points spots in the city and serves as a local meeting point for its public life. No worries, you will NOT miss it, no chance! The name of Hoàn Kiém Lake means “Lake of the returned sword”. According to the legend, the Emperor was boating on the lake when a golden turtle God surfaced and asked for his magic sword. Nowadays, you cannot cruise on the lake anymore, neither swim but you can walk around the lake. If you are curious about the legend, you can ask around. In our first 24 hours in Hanoi, we were introduced to our cute homestay, the old quarter, and local students. For local students it is very common to walk around the lake, looking for English speaking foreigners they can talk to. Don’t be afraid, it’s interesting. Here is our Short Travel Story with students from Hanoi. When you come to Vietnam and especially Hanoi, you wil get in touch with history. 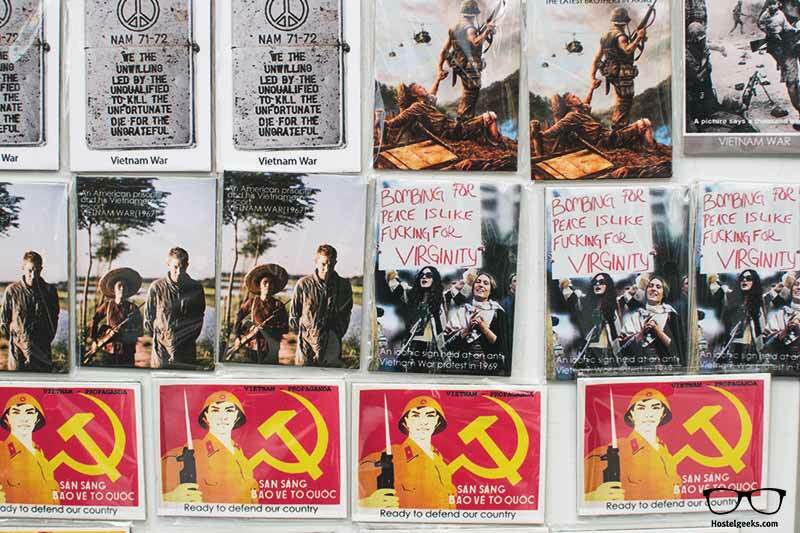 The so-called American War is not too long ago, there’s still a lot of things related to this. In this case, the prison. 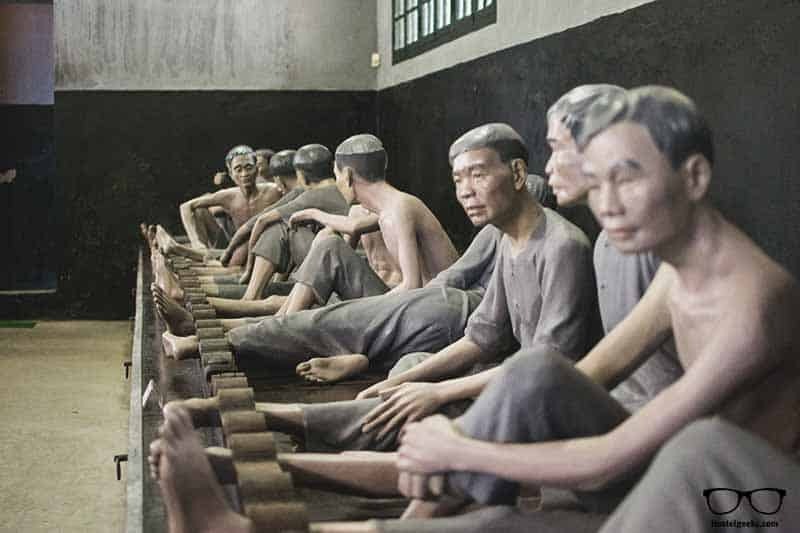 Built by the French, the Hoa Lo Prison is one of the museums we wanted to check out. I consider it one of the best things to see in Hanoi! It has many stories to tell. 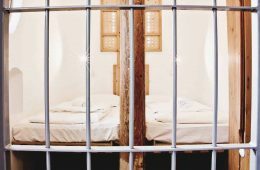 More than two third of the prison was actually destroyed to build a shopping mall. The rest remains an interesting museum and contemporary witness. The entrance is only around 1$, and it will take you around 45 minutes. Interesting place, just a 10 minutes walk away from the old town. Now, before we mentioned the Hoi Beer, a big part of the culture. An even bigger part of the culture is: COFFEE! Therefore, slow down, get a coffee, and watch Hanoi driving by and walk passing. 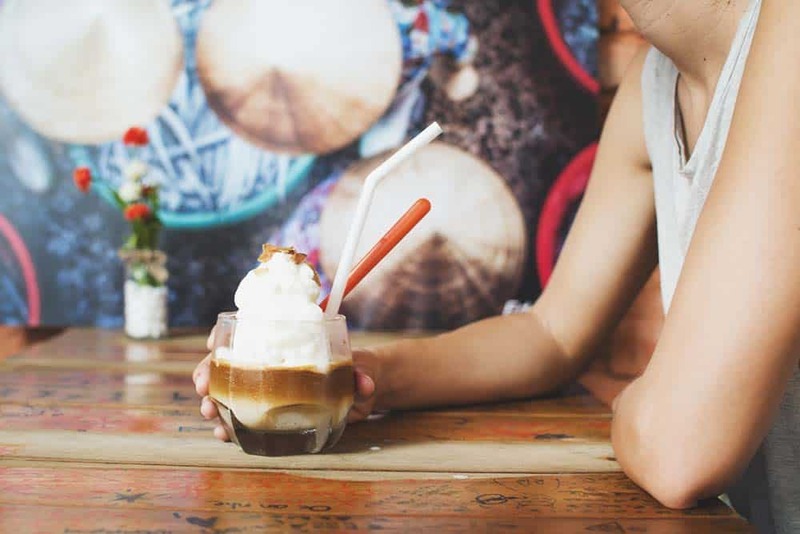 Read: Check our favorite Design Coffee shops in Da Nang. What could be better than a good coffee? A coffee with a view over a lake. There are many coffee places around the lake in Hanoi, but if you want to relax with your coffe on your hand and enjoy the best views head to Cafe Pho Co.
A rooftop café in Hanoi old’s quarter. We don’t add a picture as we don’t want to make any spoiler alert. In Hanoi, they did elaborate a Coffee specialty: Egg coffee. You should give it a try! It is totally delicious. Coconut coffee was Anna’s favorite, btw! It consists of Vietnamese coffee with coconut ice cream. Totally addictive! This time we add a photo…just to show off and make you try it on your visit! You will see that many places around Hanoi don’t use our regular, western chairs, but they do have little, no, tiny chairs. Have you ever tried to sit on a tiny chair, that one the kids would use? If you are going to spend some time in Vietnam, you will get use to it fast. And it’s kind of true. At least, it will change your perspective. 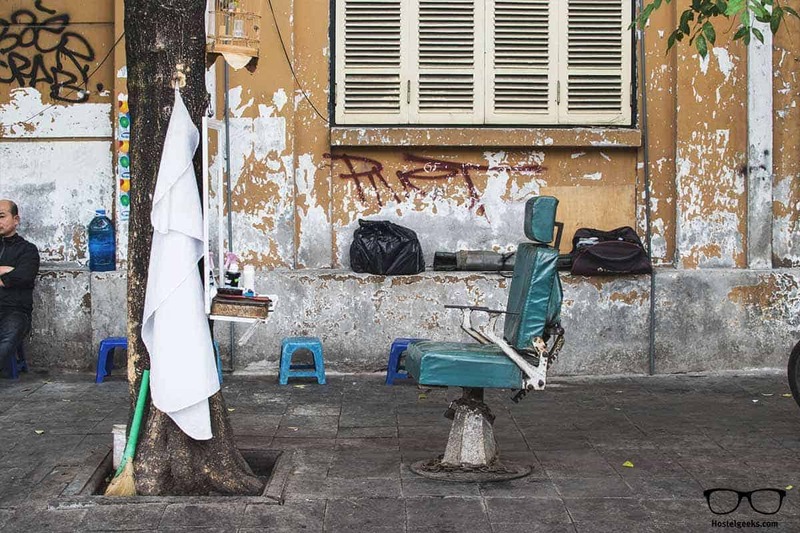 Many Vietnamese are even used to sit like this in the same position – even without a chair. Tip: normally the places with little chairs are the cheapest ones. Rule of thumb: Everything of comfort is more expensive! We mentioned the Hoàn Kiém Lake directly with the Old Town. Now, the local lake? That is the so-called “West Lake”, outside the Old Town. Hõ Tây is the lake in the Northern part of the city, just a 10 minutes walk away from Ho Chi Minh Mausoleum. There are many cute cafés all around the lake. A perfect spot to slow down, and get an idea of the local life. This area is a real local one, so if you’re hungry, don’t miss out the local street food stalls. We loved to come here to get work done. It is perfect for digital nomads, fast WiFi, great coffee, good food, cheap prices. 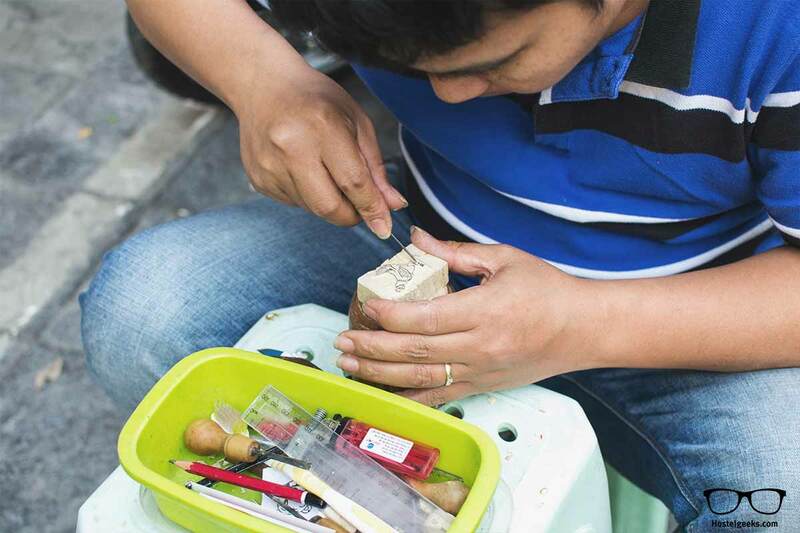 This is one of the ABSOLUTE BEST Things to do in Hanoi. 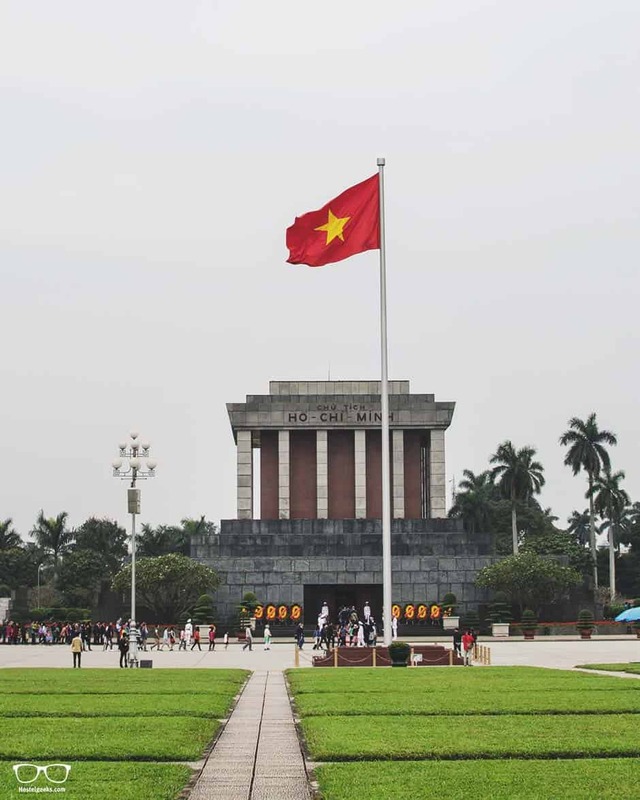 Ho Chi Minh, the big father and hero of every Vietnamese can be visited in the Ho Chi Minh Mausoleum. Important: You are NOT allowed to take a photo of Ho Chi Minh himself. There are 8 soldiers keeping a close eye on every single one entering the Mausoleum. I would not dare to take a photo since you would end up in jail. We had to leave our big camera outside inside a locker as well. You leave it on the luggage storage at the beginning and they will give it to you at the luggage storage at the end of the tour. Since we could not take a photo anyway, this was even convenient, some may call this service! Good to know: if you want to avoid the crowds, avoid the weekend. 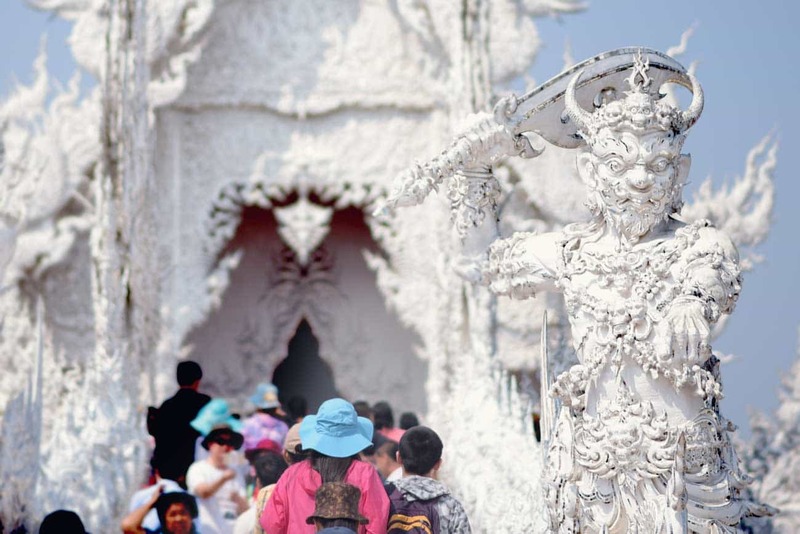 Many people from around Vietnam go to visit the Mausoleum during the weekend. The queues are reaaaaaaaaaally long. Try to avoid them. When visiting the Mausoleum, approach one of those school groups. The kids will yell you Helloooooooooooooo!!! all the time. Some of them even wanted to give us HIGH-FIVE all the time. You will feel like a famous person and laugh a lot. Vietnamese kids are adorable. You will notice this right away! Bargain is common in many countries, but in Vietnam it really is. Bargaining is part of the Vietnamese culture. They find it a way of entertainment. Therefore, join the game and bargain each price in the local markets. Bargaining in Vietnam is though! Vietnamese are great at it. Consider it a game: do it with grace and humor. Bargain in the local currency, not dollars, if you want to get better prices. Offer the merchants 33% of the initial price they say. Walking away and acting as you don’t want that object is a bargaining tool. Don’t forget to use it! Don’t expect everybody to accept your price, and don’t accept you will come to an agreement with everyone. In fact, when they don’t want to negotiate anymore, they will let you know and ignore you from then on. Don’t take it personally, it’s part of the experience! Okay, I know, again the lake. But it’s different at night. 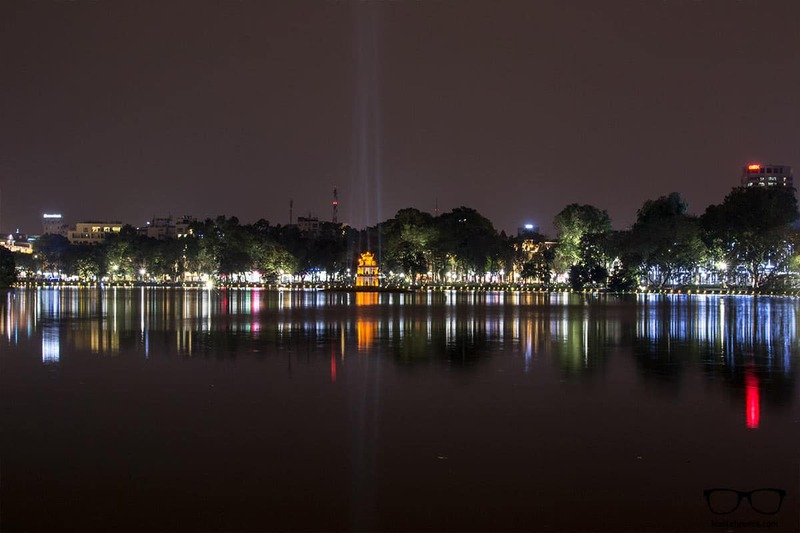 Walk around Hoàn Kiêm Lake during the night, it’s one of the best things to di in Hanoi at night. The lightning make it seem a totally different place! Another spectacular experience was the atmosphere on weekend nights here. All around the lake people mingled, played retro games like tug of war and other “board games” drawn on the streets. Locals invited everyone to join the tug of war, for instance. We joined one game, we won, were exhausted, and moved over to take just a photo for the next round. Either way, if you are in Hanoi during the weekend, come to the lake! In this video you can see some of the games we were mentioning. What about some live music? There are many places to enjoy live music around the city. Our local friend Thuan brought us to The Doors Café. You will find many bars offering live music at night. It is really a great experience to end the day surrounded by locals and other travelers. Ask your host for any special occasions, they might know some concerts/ live music bats in the area. For History nerds, the Vietnam Military History Museum displays over 200,000 exhibits. You will find items from prehistory up to the 1947 revolution and founding of the Democratic Republic of Vietnam. A colonial french building with a cupola shaped as a pagoda. Just opposite the Vietnam military history museum, you will find a big Lenin Statue. It is one of the last standing Lenin statues in the world. If I am not mistaken, it is the biggest Lenin Statue outside of Russia! Get to experience an authentic traffic jam in Vietnam renting a motorbike or, for those who don’t dare to drive, taking a Grab. Grab is like a taxi but in a cheap version. It is great because you will know the price in advance. That means, you don’t have to bargain neither discuss with the taxi drivers. In Grab, you can choose a car or, a motorbike. Do you dare to get on a Grab motorbike? I can assure you once thing: it’s unique and one of the crazy things to do in Hanoi. If you want to drive a motorbike, but don’t feel like doing it alone, why not joining a motorbike tour? We found this tour where you will have a driving guide, a city tour, and even a meal with your new motorbike buddies. A good way to get to know the Hanoi famous sights. 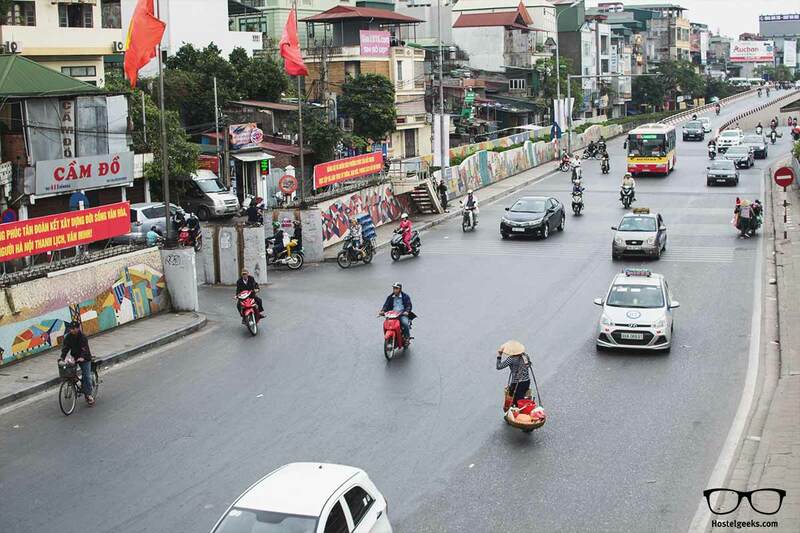 Once you get to Hanoi, you might suffer a bit of fear when crossing the streets. It is so impressive how many motorbikes and cars are basically everywhere. Fear not, crossing the streets is safe, you just need to watch for a moment to cross and cross slowly, avoiding the vehicles. Sounds more difficult than it is. Just try it. Important to know: Move slowly so people can see and realize which your next steps are. The traffic in Hanoi and Vietnam overall is chaotic, but slow. So the name of the game is being slow and don’t make sudden moves. Just walk slowly over a street – you will see everybody will start driving around you, ignoring you almost. Located in the center of Hanoi, in the main Lake mentioned in number 2, Hoan Kiem Lake, you will find the Temple of the Jade Mountain. Temple of the Jade Mounaint is NGoc Son Temple. 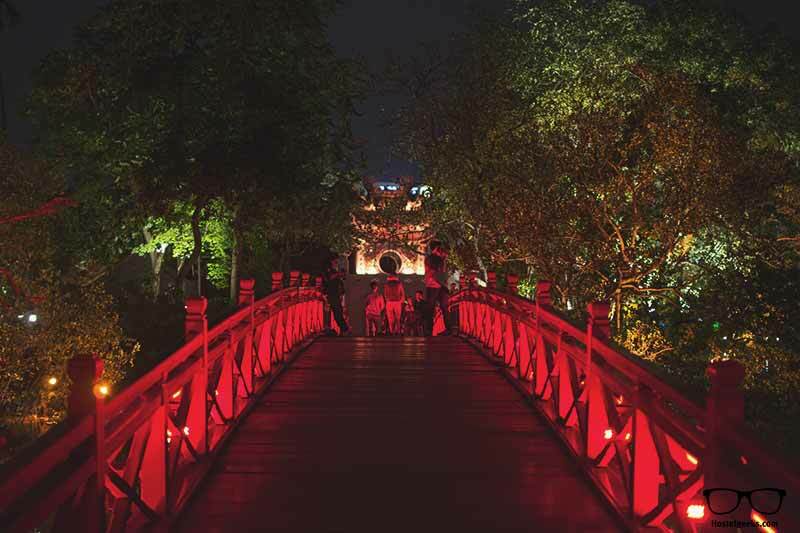 Cross the instagramable red bridge and decide if you want to enter the temple. Entry is only around 2 USD. Watch out: there are many scams around. You will find many people trying to sell you things, telling you you need a mandatory guide (not true) and re-selling used tickets. If you are lucky, you will see many Vietnamese women in traditional dresses posing for pictures along the bridge. That makes it even more instagramable! It is not a surprise, many people dedicate their last day in Hanoi for shopping. You can find many fake items (and some originals) from known brands all around the city. To find specific items, think about this: products are divided on different streets. I just put on the map all the interesting shopping points in Hanoi. I added a description about what it is sold on that street. Remember, you will have to bargain! Water puppetry is a tradition that dates back as far as 11th century. The performance is done in a waist-deep pool. The puppets are made out of wood and often weight up to 15 kg. Around 8 puppeteers and a traditional Vietnamese orchestra providing background music will suprise you in many ways. It was originally from North Vietnam, in the are of the Red River Delta. That makes Hanoi a perfect place to watch it. Buy your tickets in advance for the Puppet Theater here and skip the scams. If there is one way to make me really envy you: Send me a photo of you eating at New Day in Hanoi. Seriously, tag us on instagram.com/hostelgeeks. It is the restaurant we visited so many times. 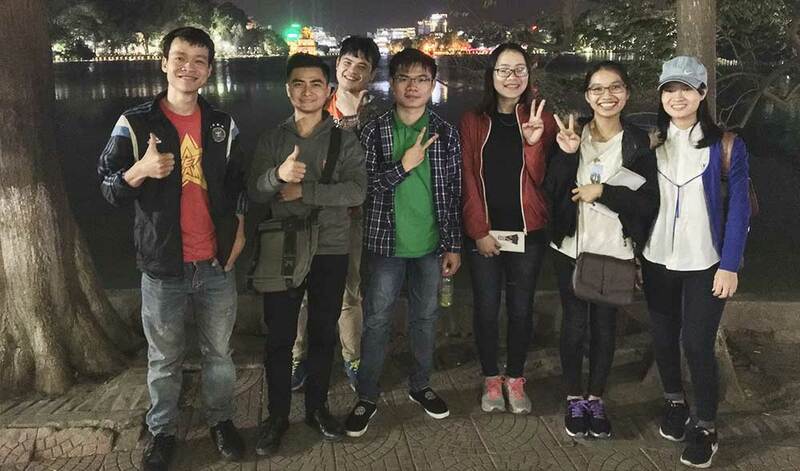 It was introduced to us by the team of NEXY Hostels Hanoi. New Day Restaurant is located right in the Old Town. We totally recommend their stewed aubergine and tofu in clay-pot! Try it and thank us later. Vietnamese food lovers, think about that. A cooking class is a way to come back to your trip any time you cook the dishes at home! If you are traveling around Vietnam, I would recommend to do a cooking class in a more rural area, or even in Da Lat. But if you are just traveling around North Vietnam, or Hanoi is your last place, then join the cooking class in Hanoi. Chùa Trấn Quốc is the oldest Buddhist temple in Hanoi. You will find this Pagoda on on a small island in the West Lake, on the southeastern shore. Due to its harmonious architecture and the water surroundings, the pagoda is a picturesque attraction in Hanoi. 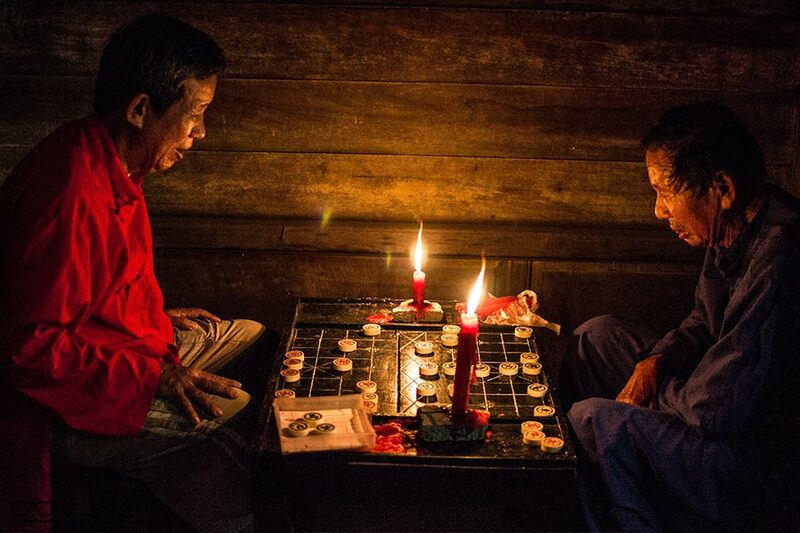 Monks still live in Chùa Trấn Quốc, teaching the ways of Buddhism to the public. An interesting fact: Not only men but also female Buddhas are worshiped at Chùa Trấn Quốc. North of Hoan Kiem Lake, you will find The Old Gate. Built in 1749, Ô Quan Chưởng is the only remaining gate of the old city. The gate, with its arched form, has maintained its original shape and structure. Nowadays, you can be impressed not only by the remaining gate but also by the hustle and bustle of the city. Sit in a café, order your drink, and enjoy the show. This museum is really impressive. The Vietnamese Women’s museum covers the history of brave Vietnamese Women and all they did for the country. This brings a new perspective to the war and war times in general. The french influence is still there. After the French War ended, the Vietnamese culture kept many things brought to them by the French. It is a Vietnamese Baguette Fusion – if that is a thing?! However, you can create your own one. Just make sure the street vendor understands what you really want. We paid everything between 8.000 VD to 55.000 VD for a Banh Mi. It all depends on where you eat it. And how well you already improved your bargaining skills. Our most expensive one was, of course, at the beginning of our trip in Hanoi. 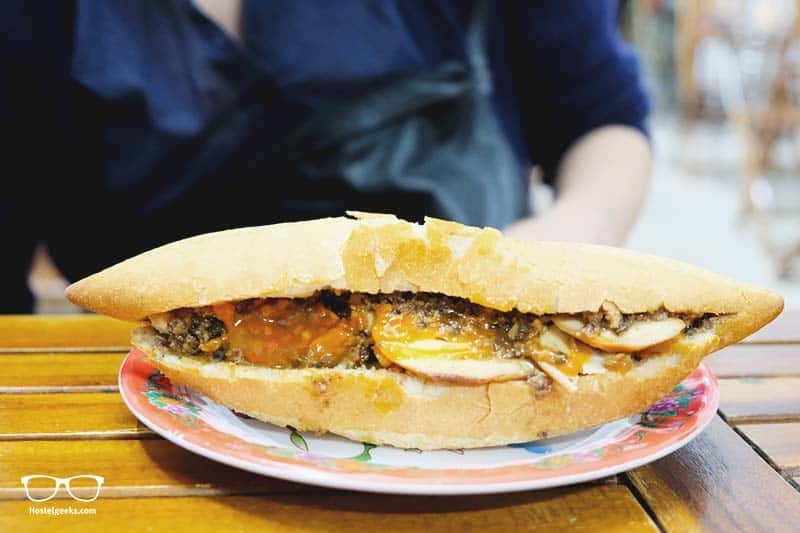 You can find Banh Mi all over Vietnam. During our time in Hanoi, we checked our 5 Star Hostel Nexy Hostel. 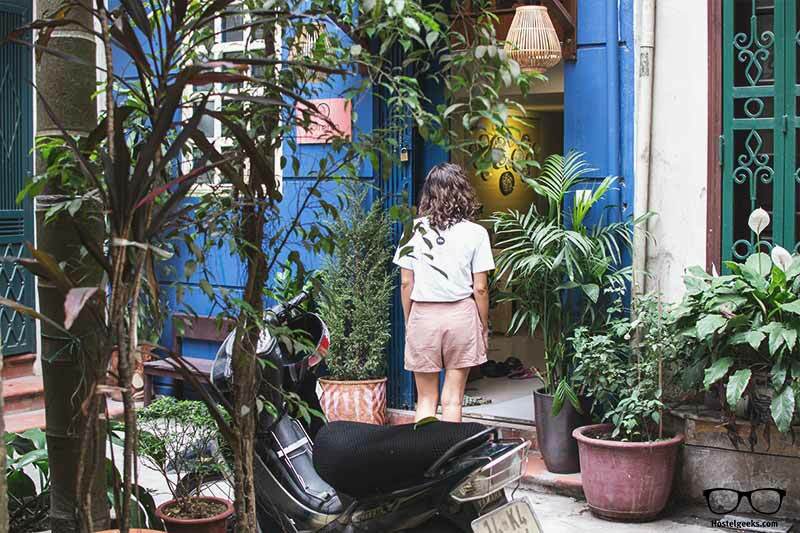 Read our guide to best hostels in Hanoi here. We did also stay at a Homestay. In the hostel, we met many people and got many information about travelers ending their trip. In the homestay, we got to know the Vietnamese culture better. 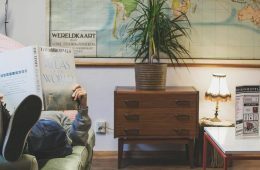 When staying at a Homestay, make sure you read the comments of other fellow travelers. 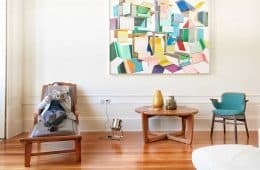 The best way to find a good Homestay is with Airbnb. 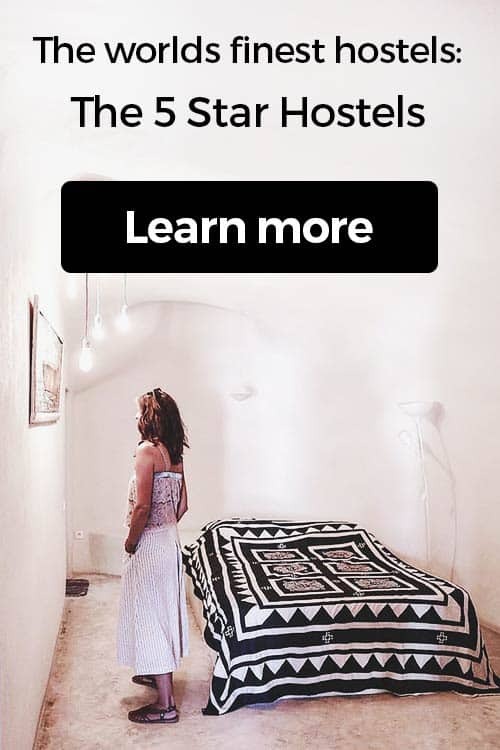 Here you have 20 USD off your first Airbnb experience. We already covered this a bit in #1, but again, it’s important. Beer Hoi is the cheapest beer ever. You will find signs promoting it all over. The cheapest option is the street vendors. Sit down at the tiniest chairs you will see and order a Beer Hoi. It usually costs between 5.000 and 10.000 VD. This is less than 30 cents. Drinking a Beer Hoi is one of the most common things to do in Hanoi at night. During the weekends, you will see the streets are full of locals and tourists hanging around and having a beer on the street. We marked on the map at the end of this article the Beer Hoi areas. That way, it will be even easier for you to find it. In some part of the city, you can find the old rail roads of the trains. But, please be aware, those are still used. Even though only rarely. If you come here, make sure no train is coming!!! You can find the rails in Hanoi here. Find all of our Vietnam travel photos here. This is fun. Get a Cyclo, you know, like in the movies. Make sure you negotiate the price beforehand. To add some extra fun, you can actually DRIVE a cyclo by your own. We have seen a tourist driving around a local in his own cyclo. They had a blast, everyone! We found also an interesting tour: Street food tour with a cyclo. Okay, now THAT one is a cool gift or souvenir from Vietnam for yourself. 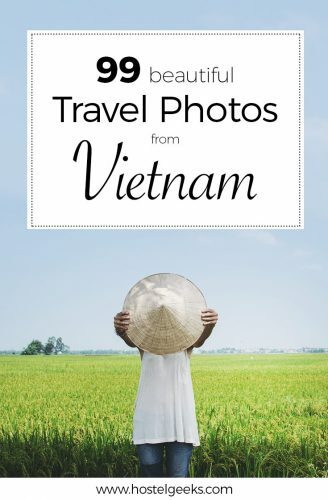 Put this one on your list for thins to buy in Vietnam. We were wandering around the Old Town when we met this young fellow. 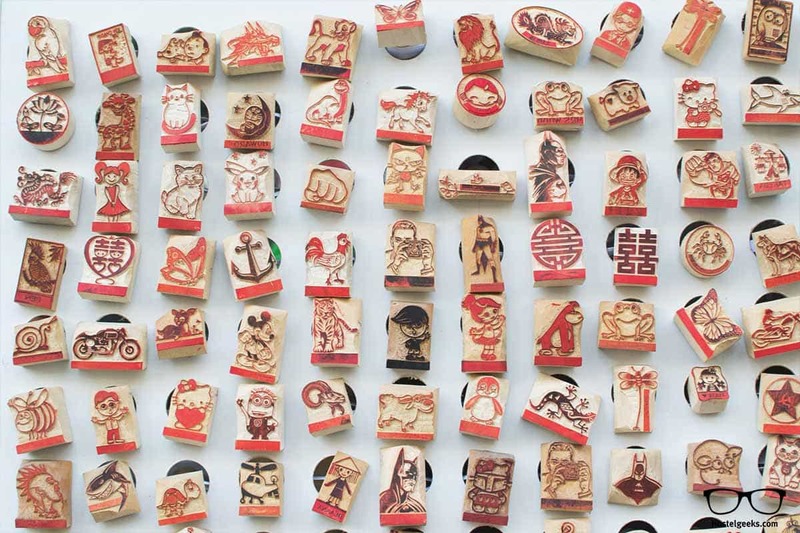 He was carving his new handmade stamps. And yes, these are 100% handmade, we even took a photo as proof. 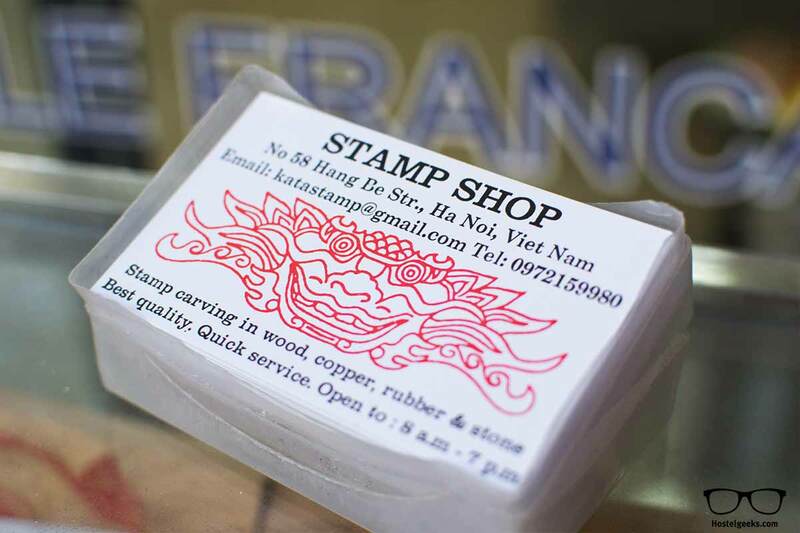 You can even ask him to make customize stamps. 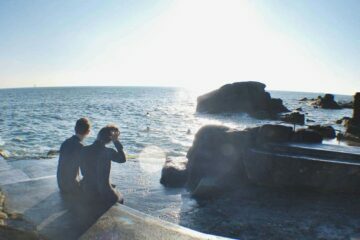 It felt like a time machine. 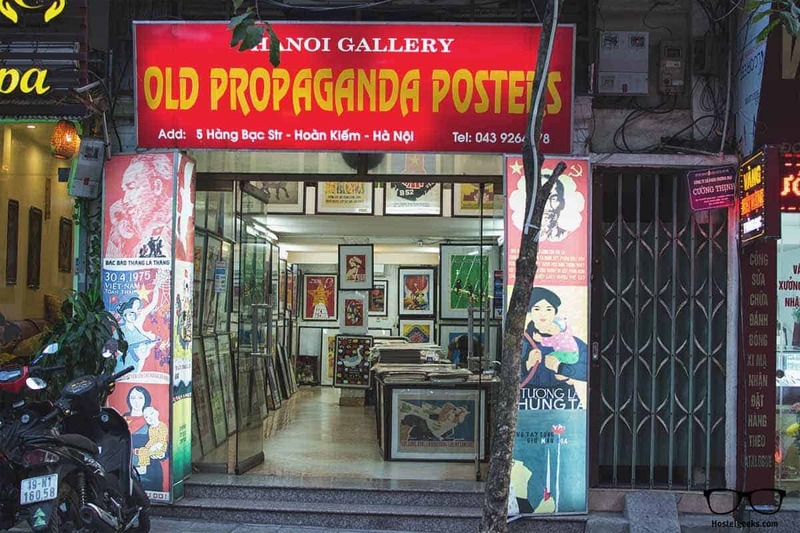 There are a couple of old propaganda shops around the old city. Walk in and have a look. We did not get one since we were about to travel by bike for 3 months. A poster would most likely not make it the whole way in one piece. However, this is a great souvenir. These posters came in different sizes as well, even postcard size. That’s another cool things to buy in Vietnam. It was built in the 11th Century and it marks the independence of the Dai Viet. The imperial citadel of Thang Long made it to the UNESCO Heritage list 2010. 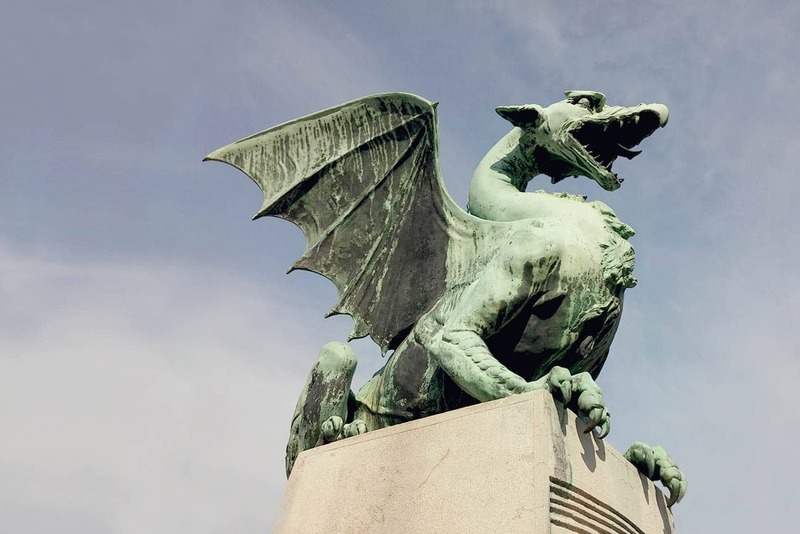 It was the center of regional political power for almost 13 centuries without interruption. It does not get more stylish than this. Seriously. You will find many of these local barber shops. Come on and get a haircut here. Or, obviously, get your beard back in shape, Mr. Beardpacker! Most people just dream to land in Vietnam to discover their terrace rice fields in Sa Pa.
We have to admit. Sa Pa is very impressive. 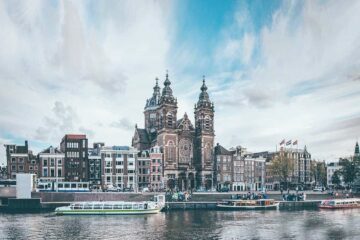 Not only the surroundings will amaze you, but also discovering that there are still minorities that live in a different world. 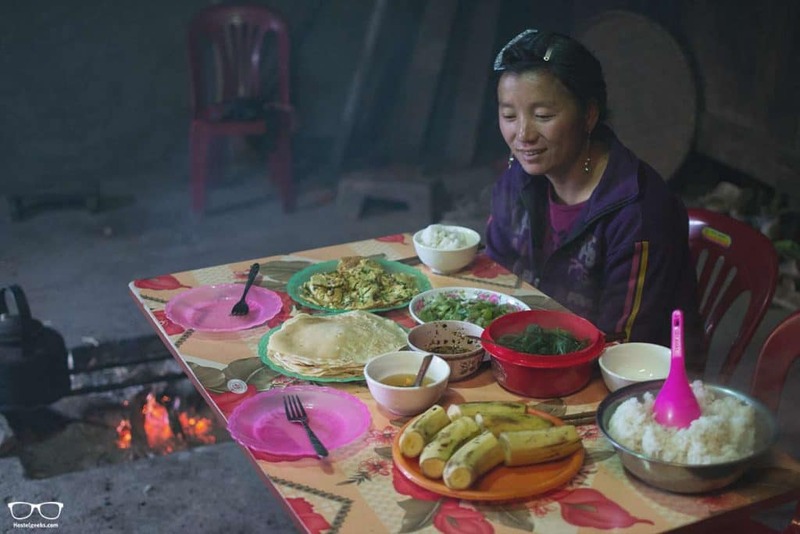 We made a video during our stay with a H’mong family. We took also many photos during our stay in Sapa. 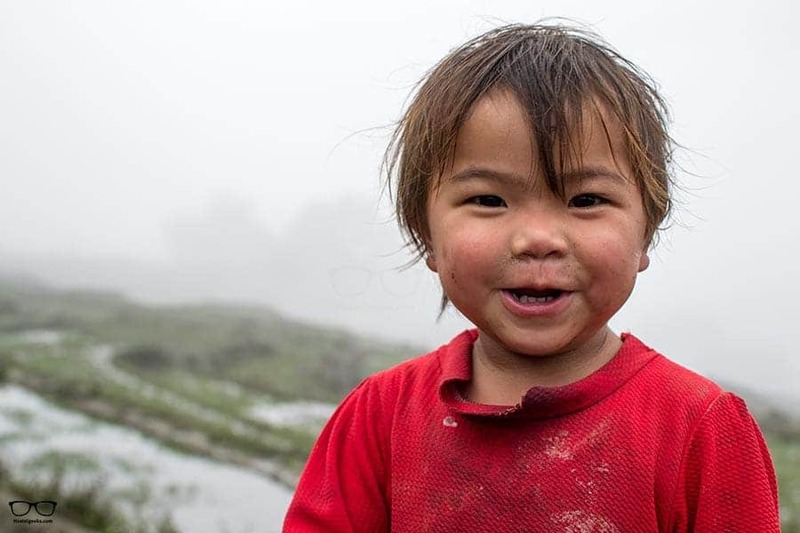 Check our Sa Pa guide and photos here. Here we cover as well how to get so Sa Pa and how to find a local host. The weather during our stay was quite bad and could not enjoy the terrace rice fields views. Our experience with the family was amazing though. If you go to stay with a minority family, bear in mind they have limited resources. Expect basic accommodation, real tasty food, great conversations, and colder weather. You will find also heart-warming, welcoming people. This is one of the two best things to do near Hanoi as a day trip or 2-days trip. Many travelers decide to visit North Vietnam for their incredibly beauty Ha Long Bay. 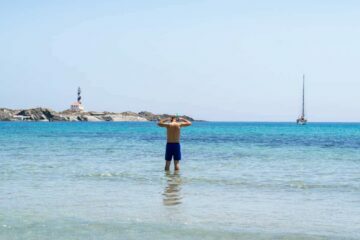 And I must say, the place is one of the most beautiful places I have seen! Let me show you what I mean with our Ha Long Bay gallery. From Hanoi, you can go to Ha Long Bay easily with a tour. Watch out, many agencies will offer you to go and return the same day with incredibly cheap prices. It wont’ be cheap, neither worth it. 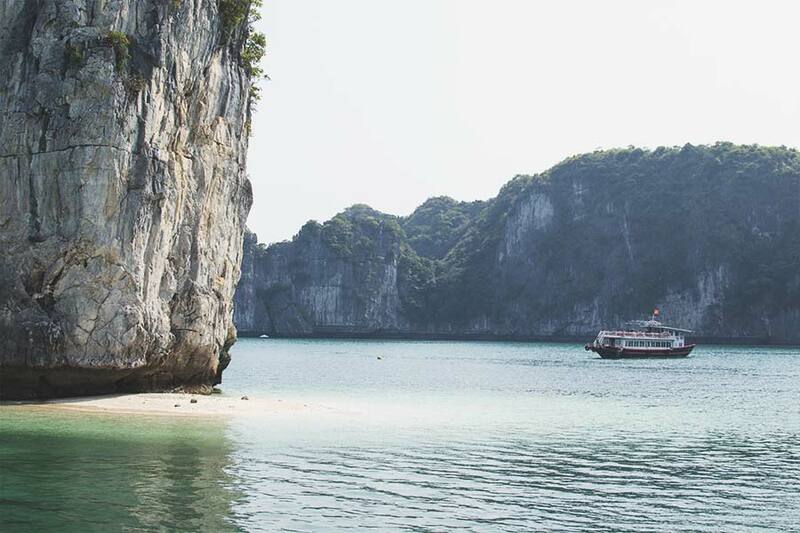 Make sure you stay at least one night on a boat to full experience the Ha Long Bay. You can book your Ha Long Bay tour here. We always recommend using Get Your Guide for these tours! Vietnam is a very photogenic country. Green landscapes, tall lime stones, smiling faces. Personally I am totally in love with many portraits done in Vietnam by Reháhn. He is a famous French photographer who traveled around Vietnam and took impressive photos. We at Hostelgeeks were part of the art exhibition Go Explore Vietnam 2017. The exhibition featured the work of Réhahn Photography. Our photos are not as impressive as his, but we were very flattered to expose in the same Art exhibition. Anyways, a photo tour in Hanoi might give you some tips for taking better photos and find cool, photogenic places. 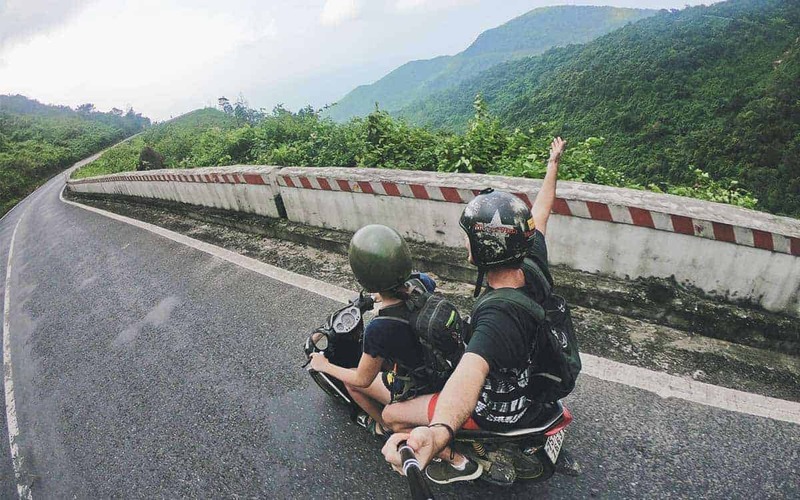 There is even a tour which sounds even more appealing: photo tour and scooter riding. This one is obviously for everybody looking to motorbike Vietnam. We did it. Hanoi is loaded with motorbikes and scooters. There are many motorbike shops which will offer you the possibility to buy and sell your motorbike again. These shops even offer you the opportunity to re-sell the motorbike once you get to Ho Chi Minh. Read all the conditions and terms in order to decide if it is worth it. One of this groups is Vietnam Backpackers. All around the Old Town you will most likely see motorbikes on sales as well. Stroll around the backpacking area (we marked the backpacking street on our map below). You will find many motorbikes with posters ON SALE and contact numbers. Yes, old selling methods still works. Many people are really afraid of not finding a place for eating. In my mind… that will be impossible! Even if you like only Western food you will find nice restaurants. But you should try some street food, at least once! Little Hanoi: a restaurant near one Beer Hoi corner with normal chairs inside. Street Food: All street food stalls we tried were delicious. If you have any other favorite restaurant which we should add, just comment us below. During our trip in Vietnam, we found a very useful food app, which is also free. Even though it is written basically in Vietnamese, you can find restaurants, coffee places, and filter by type or area. People do also post photos, so you can get an idea about what to expect. It was a time saver! We mentioned above some things to do at Night in Hanoi. But you might be wondering : Is there any party area in Hanoi? You will find some Clubs near the beer Hoi areas we marked on our map below. Also along the backpacker’s street. 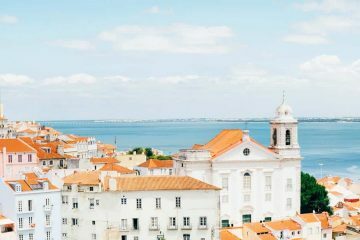 That is why: if you want to sleep, I would not recommend staying at the backpacker’s street, but in a place near the Old Quarter. That way you will be able to join the party and leave to sleep at any time! As mentioned, I would stay in the Old Quarter or nearby area. The key is to stay central. Nevertheless, make sure you choose a calm and quiet street where you can rest. Our 5 Star Hostel Nexy Hostel has a perfect location. It offers dorms and double rooms with shared facilities. A unique boutique hotel with different tasty designs on each room. We stayed at the Hanoi room, which is decorated as a typical Hanoi house in the past. The room was really big, with sofa included. The location is great. In a quiet street, near cafés and not far from the Cathedral. Hoan Kiem Lake is within a walking distance. We stayed also at a homestay near West Lake. The family was really helpful. Thuan, brought us to eat and drink coffee with some of his friends. We discovered many local places. As we had already our motorbikes, moving around was not a problem. But it was a bit far from the Old Quarter. 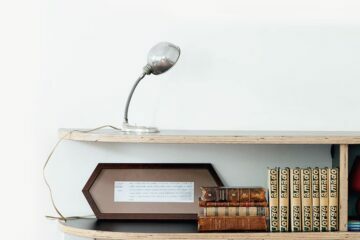 You can find many homestays directly on Airbnb. 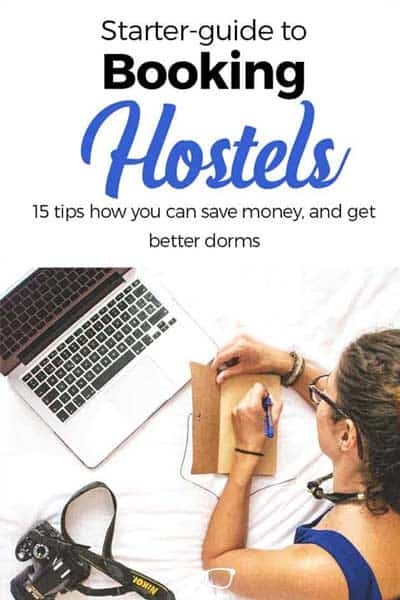 On the note of accommodation, when traveling around the country, you can stay at fantastic, awesome hostels. We created a Hanoi map with all the points and activities mentioned + FULL Guide for Shopping in Hanoi, Vietnam. 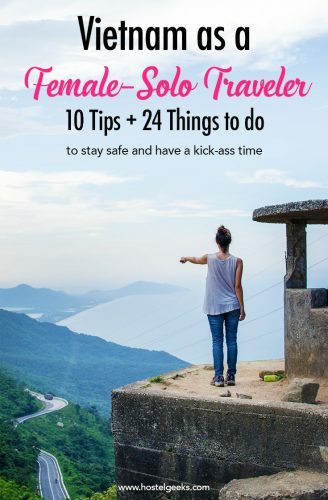 You can check it anytime and even share it with your travel friends. That way, you will move easily around Hanoi City. I just gave you an EPIC list of things to in Hanoi.But, I am not perfect and maybe this list is also missing a few things or I missed to explain a few things. Therefore: Do you have any questions, doubts? Just leave us a comment or send us an email. I would love to make this post as informative and useful as possible. 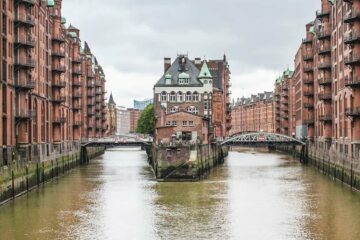 Your comment and question will help you in the first place to get more information, it helps me to improve this article and other travelers will love the extra information as well. Therefore, don’t be shy and drop your question below. Vietnam’s capital is AWESOME! So many things to do, so many different kind of activities. Have a look at our video we made about Hanoi. And the life and culture to experience on every corner, it just does not stop. We have visited Hanoi for two full weeks. It was really hard to say good bye. Without a doubt, we will be back. Thank you so much for your kinds words! You will enjoy Hanoi! Make sure you check all our other Vietnam guides, especially staying in Ha Long Bay and enjoy Woodstock Beach Camp!